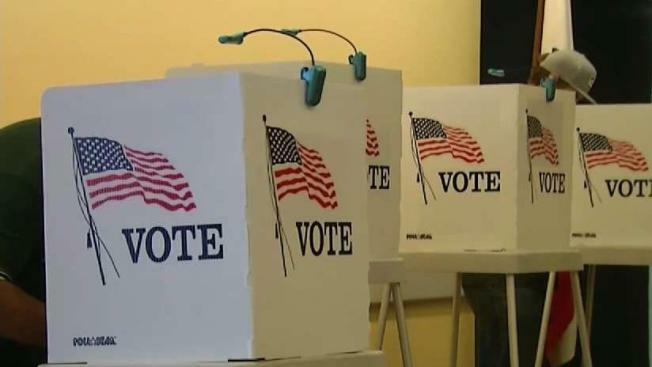 NBC10 is committed to making sure your vote counts in the Nov. 6 midterm election. We'll have a team of journalists digging into any reports of problems that prevent eligible voters from casting ballots. But we need you to be our eyes and ears at the polls. If you see problems at a polling place -- issues like long lines, registration problems, purged voter rolls, broken machines, voter intimidation and changed voting locations -- you can tell us, or our partners at ProPublica's Electionland. Email: Email the NBC10 Investigators at nbc10investigators@nbcuni.com to report issues directly to us. SMS: Send the word VOTE, VOTA (for Spanish) or 投票 (for Chinese) to 81380 (standard text message rates apply). WhatsApp: Send the word VOTE, VOTA (for Spanish) or 投票 (for Chinese) to 1-850-909-8683. Facebook Messenger: Go to m.me/electionland. Web: Use the form at the bottom of this page. If you notice problems while voting during the 2018 midterm elections on Tuesday, Nov. 6, please share so we can help investigate them.